Today my guest is Drew Beechum, the co-author of a new book Homebrew All Stars as well as the book Experimental Homebrewing (both Amazon affiliate links). Drew also co-hosts a new podcast with his co-author Denny Conn at ExperimentalBrew.com – where they have reached episode 26 after about a year of podcasting. We discuss the launch of Drew’s new podcast Experimental Brewing on iTunes – which he is co-hosting with Denny Conn. 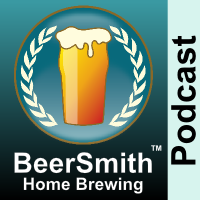 The new podcast features experiments in homebrewing along with a mix of other topics. Drew talks about his new book Homebrew All Stars where he interviewed and captured the techniques and thoughts from many top home brewers. We discuss how they went about interviewing and capturing the information in the book. Drew shares some tips he learned from the experts in the book. We discuss several of the experiments Drew and Denny covered so far in their new podcast. Drew updates us on some of his adventures in Saisons and brewing and provides a few tips on simplicity. Drew shares is closing thoughts.